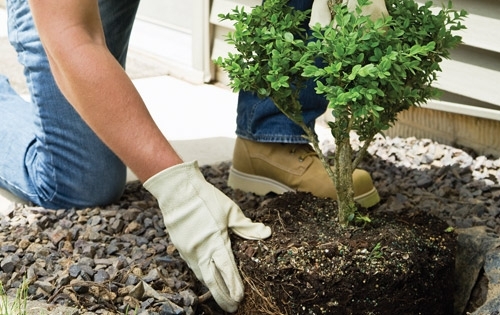 When purchasing trees and shrubs through the garden center we charge 50% of the original cost per tree/shrub installed.This fee does not include soil, mulch or the removal of previous tree and shrub material. We have a minimum installation fee of $65. Our installation comes with a one year guarantee on the trees and shrubs.